Historians are both notorious and professionally obligated to spend the majority of their lives analyzing, thinking and talking about dead people. Which is good, of course, because it keeps those that have gone before us alive while simultaneously enriching our own existence. But sometimes it’s necessary to capture one’s here and now. 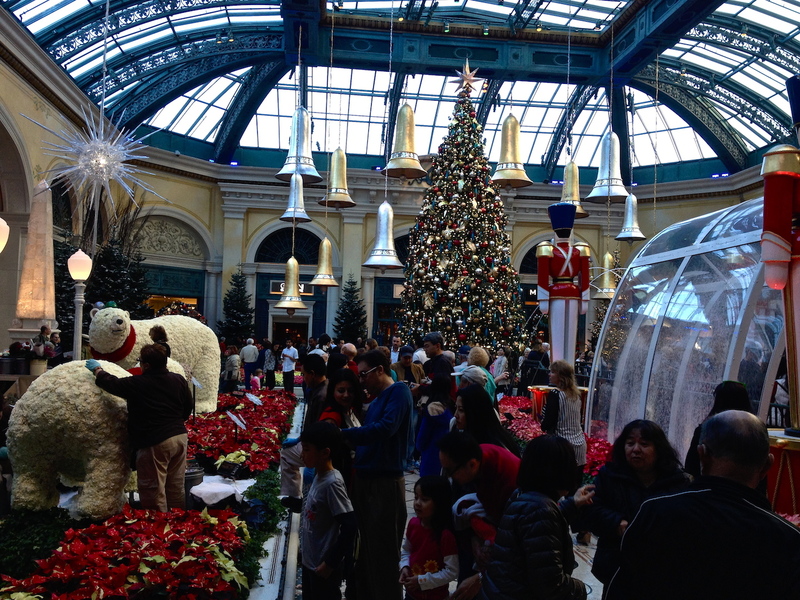 So that’s what is happening with this Christmas Day posting, direct from fabulous Las Vegas, Nevada. The ages at our large family gathering range from 9 months to 86 years, and it involves great grand-daughters and -sons and great grand-fathers and -mothers, cousins, aunts and uncles, mamas and papas, fathers and mothers, brothers and sisters. It is deep kinship, and it is being experienced everywhere. But enough of that. Here are some photos of our local. Enjoy. And Happy Christmas and Merry Holidays. Meals bring family, friends and humanity together. 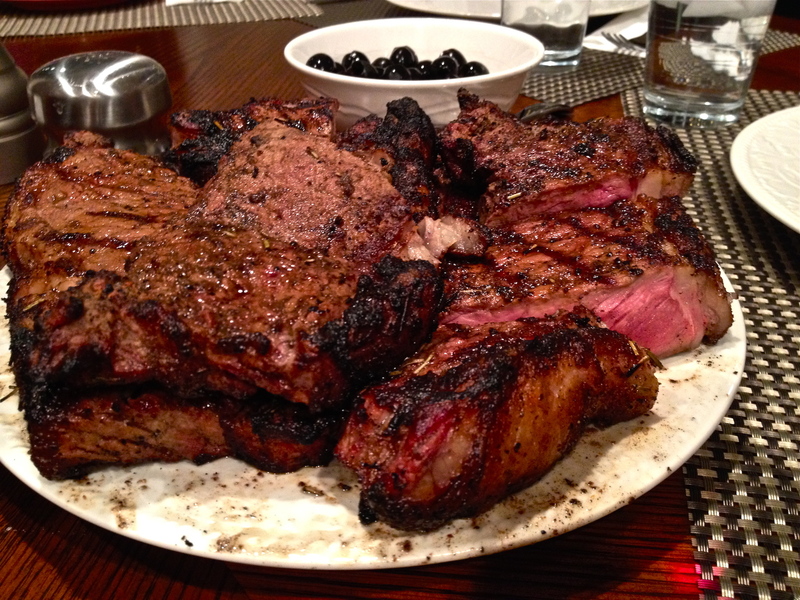 We had steaks the night Molly and I arrived. 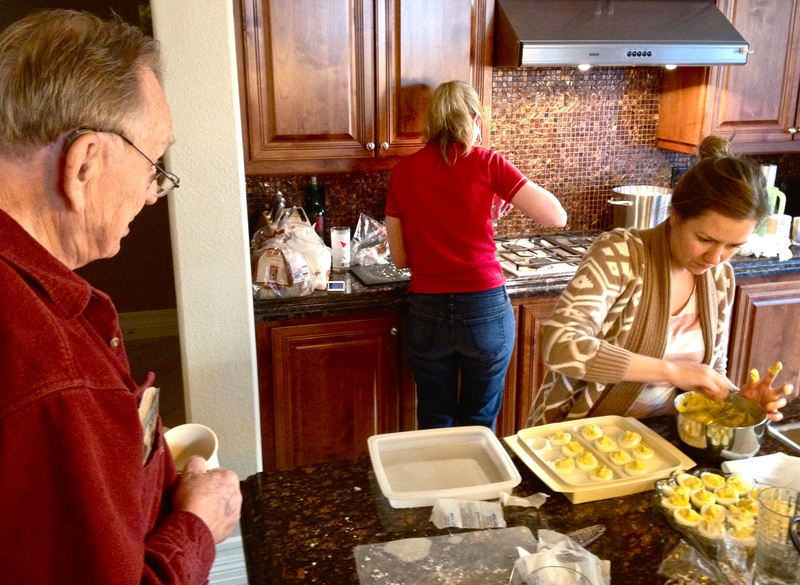 Kitchen busy work on Christmas Eve. Great Grandpa Christy chats with Carmel and Molly. 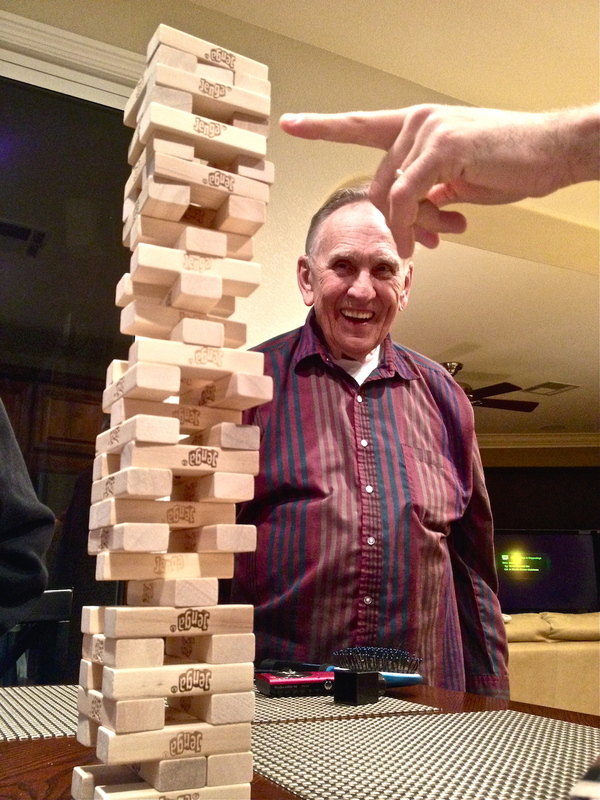 Grandpa Christy brings 86 years of experience to the Jenga tower on Christmas Day. 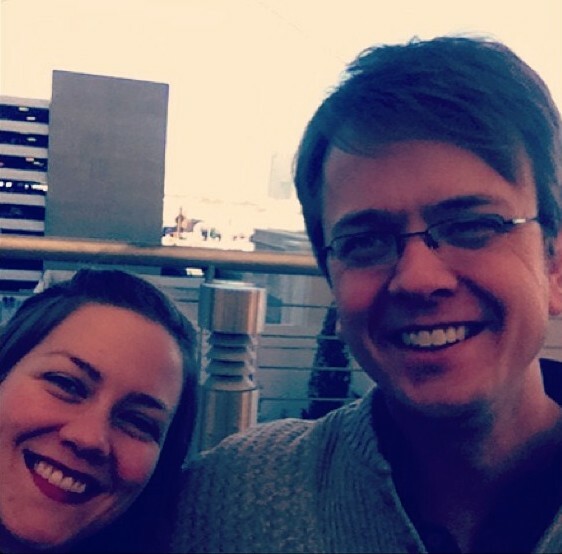 Molly and I wait for the tram outside of Vdara and Aria, downtown Las Vegas. 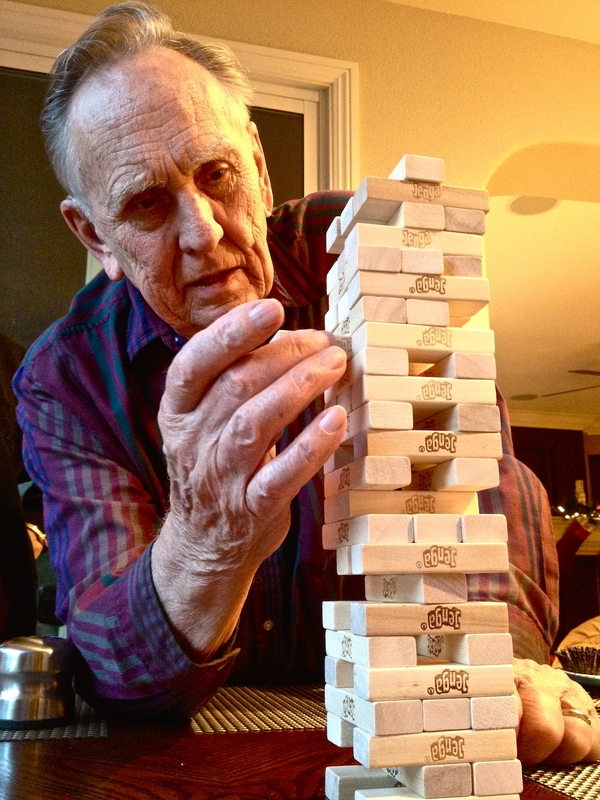 This entry was posted on Wednesday, December 25th, 2013 at 7:27 pm	and tagged with Christmas Day, Family, Genealogy, Las Vegas and posted in Uncategorized. You can follow any responses to this entry through the RSS 2.0 feed.